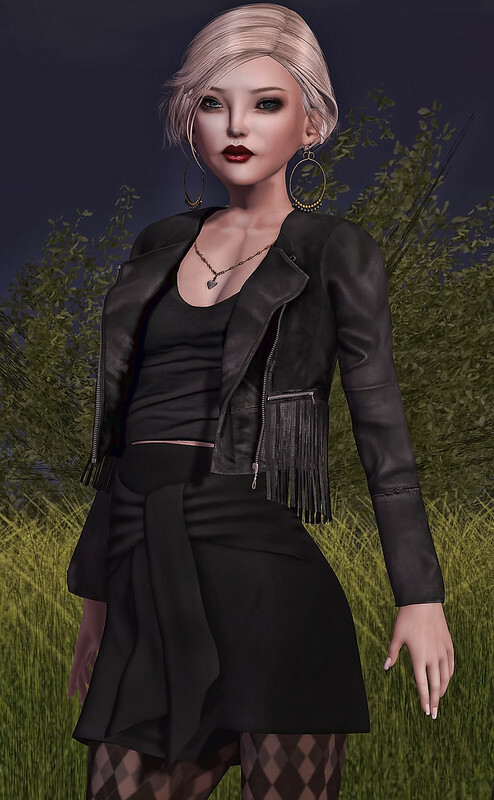 My necklace is the Gypsy Flower Amulet of Antimony by Maxi Gossamer for Fifty Linden Friday – 50L. It has a texture changer to match your mood! This is to give you a closer view of the texturing of the fabric – although delicate it is extremely realistic. I’m impressed. Today I’m in a bit of a flippant state of mind. This is what happens when every day is hot, hot, hot. I shouldn’t complain though, because winter will be here soon enough.. 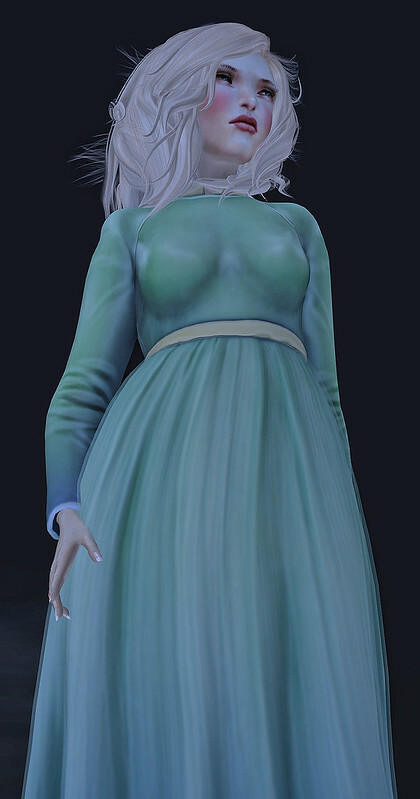 This is the Veronica dress, released by Shai Delacroix just a little while ago, and was available at Kustom9. Well, its now back at the main store in all its loveliness! I went to the Bag Festival at Kowloon a little while ago, and I am truly rather fond of this bag. It also fits in nicely with my flippant mood today! Now is the time to get your new party frock for New Year Celebrations, and it need not cost an arm and a leg!